With the time spent on the mat, and the close quarters of practice, wrestlers are susceptible to bacteria and fungus. 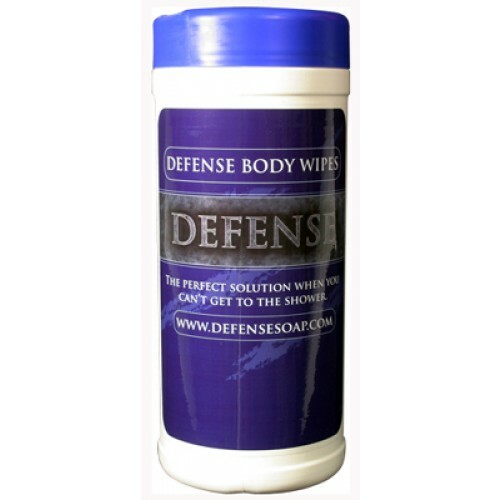 Defense Body Wipes are designed for wiping down after practice or after matches on tournament days before you can get to the shower. They are also used to wipe down equipment and gear. With the time spent on the mat, and the close quarters of practice, wrestlers are susceptible to bacteria and fungus. Contagious fungus, such as ringworm, can not only sideline a wrestler, but an entire team if spread. Long hours of hard work can be negated if personal hygiene is not made a priority. Developed for wrestlers, by wrestlers, DEFENSE uses natural ingredients that prevent bacteria and fungus from infecting you. We know first hand about the dedication it takes to prepare for wrestling competition. Keep yourself on the mat with DEFENSE. Great for wiping down after practice or between matches before you can get to a shower. Can also be used to wipe down equipment and gear.